Time to sign up for those of you interested in competing against some Razzball writers (including Grey who won his league two years in a row; man, can’t anyone beat him? He’s better at NFBC than he is at not talking in third person!) in the NFBC $150 Draft Champions format. It is a 15 team mixed, 5×5 format with 50 rounds (done via a slow draft that takes about 2 weeks). NFBC’s moved to a new site that looks great and they have cut the clock between picks from 8 hours to 4 hours (except overnight). For those unfamiliar, the major quirk vs most league formats is that there are no trades OR free agent pickups. You can update your starting hitters twice a week (Friday and Monday) and pitchers once a week (Monday). I love this format as a complement to standard formats as it rewards drafters who can find breakout candidates/bargains on draft day. Once we have enough people to fill a league, NFBC will create the league. I recommend creating an account at NFBC if you do not have one as that will expedite everything. Put your email in the signup form below to play against us. NOTE: THIS IS SEPARATE FROM THE RAZZBALL COMMENTER LEAGUE. THAT IS A 12-TEAM MIXED FORMAT WITH DAILY ROSTER CHANGES AND YOU CAN PLAY IN FREE, $10, OR $20 LEAGUES. SIGN UP HERE IF YOU ARE INTERESTED. What are the differences between K/9 and K%? Why does this feel like I’m writing a tutorial on eHow? This is such a post you’d find on the internet in the mid-2000’s when they still capitalized the word internet. “What are the differences between ‘early birds’ and ‘morning larks?’ A brief discussion.” Okay, so outdated mode of translation aside, what K/9 is is (stutterer!) obvious. The formula is in the name. How many batters a pitcher strikeouts per nine innings. K% is strikeouts/total batters faced. They are, sadly, not the same thing. If they were the same thing, this would’ve been such a shorter article! Keeping with the mid-2000’s style I’ve adopted for this article, let’s do a subheading in bold! A pitcher, let’s call him Gon Jray, enters the 1st inning charged up about how great he’s going to be against these good-for-nothing Dan Siego Madres. Gon gets the first Madre to pop-up. What a start to the 1st inning! Then Gon strikes out the next hitter. Wow, this Gon guy is a-okay! Then the next 15 Madres get on and score 10 runs. Finally, he gets another grounder to the left side to end the inning. Not the best start, since he threw 135 pitches in one inning and has a 90.00 ERA, but Gon’s hoping to get ’em next time! They both have a 9 K/9. That’s the problem with K/9. A pitcher who throws a perfect game with 9 Ks and a pitcher who throws 5 IP, 5 ER with 5 Ks, both have a 9 K/9. However, their K% differ. Gon Jray’s K% is 11, whereas Merzer’s K% is 30. If it’s not clear 11% is insanely terrible. Last year’s worst K% was Mike Leake at 15.2%, and Chris Sale was best at 38.4%. Common knowledge should tell you if you’re striking out a guy nearly 30% of the time, it’s excellent. Mean’s while, if you strike out a guy nearly 15% of the time, it’s not good. Face 27 batters and that’s 4-ish Ks for 15% of the time; 30% is 8-ish Ks. Simply math, guys and five girl readers, let’s continue! K% is more accurate than K/9. Oops, just put it out there like I don’t have a care in the world. Just chucking out truisms and not even with a warning! So, why is it I use K/9 more often than K% when discussing pitchers for fantasy baseball? This, I think, is a more of a philosophical question. K/9 is talking plainly, while K% is less obvious. If you hear a 9 K/9, it equates in your head immediately that a guy strikes out nine batters in nine innings. It’s super clean. K% is talking about batters faced, and that changes each inning. A 30% strikeout rate is great, but that’s not obvious on its face. While K/9 is not perfect, it is easier. Plus, K/9 and K% usually line up fairly closely for starters. If a guy has a 38.4 K%, he’s going to have a great K/9. Robbie Ray has the 5th best K/9, but the 8th best K%. Bit of a quibble, p to the erhaps, but his K/9 is covering a wildly awful walk rate. To a lesser extent, same for Zack Godley, Lance Lynn, Sonny Gray and Danny Duffy. Of course, no one should look at just one stat for anything. Does a pitcher have two pitches or four? Does he get killed by lefties or righties? Does he allow a ton of walks? You need to look at the whole picture, ahem, pitcher. K% matters more for relievers. With fewer innings a reliever can throw, these things become more pronounced. Matt Barnes, for unstints, had a 14.01 K/9, but a 36.2 K%, because he’s walking the house and his batting average against was not nearly as elite as other relievers around him in strikeout rate. Barnes’s BAA was .203, but Jose Leclerc had a 13.27 K/9, but a .123 BAA and a 38.1 K%. Now, if I told you Barnes’s 14.01 K/9 was not as good as Leclerc’s 13.27 K/9, you may have been confused, but if you literally just read the sentence before this, you’d understand why. Barnes also had a higher BABIP, and maybe he was unlucky, that’s why you then need to look at line drives, how hard balls were hit off him, where they were hit, and…Do you see the rabbit hole you can go down? This is also why you have to pick and choose poisons and which stats to use. So, what is best for fantasy baseball — K/9 or K%? Seems fair, I really could use a stud MI…loaded at CI and OF. Won league 2 yrs in a row to start our dynasty. Pull the trigger? I’d hate to give hoskins for a prospect that is not vladito in an obp league, but if you are really stacked you can pay the luxury i guess. I was so used to K/9 – BB/9, now you’re telling me I need to change? But I hate change! So what’s a good K-BB%? My home league is a 16 team OBP league. For drafting hitters, would you suggest following your top 500 rankings or Rudy’s OBP rankings? For example Carlos Santana is ranked 42 for hitters in OBP and jake Bauers is ranked 71 for hitters in OBP, definitely a big difference when it’s draft time. Great k/9 vs k% and then finally, spoiler alert, the jawbreaking ending of K-BB% which is actually a great metric. a. I have dropped the John Lennon quote. He’s a bit of a d*ck. 1. I used to think revenge was a dish best served cold. But then I realized it meant getting back at somebody. 2. Music is the universal language but one day soon it will be replaced by Chinese. 3. Why doesn’t an Appleby’s called their appetizers appletizers? Why doesn’t that waitress I met at TGIF Fridays never call me back? 4. A worldwide scientific study confirms a long-held suspicion. No one anywhere likes drum circles. 5. Justin Bieber’s monkey’s been quarantined which reminds us how far we’ve come since headlines about Pearl Harbor and D-Day. 6. In the coffee shop lineup today, I heard a guy behind me say, I like to start by biting the ears off and I prayed to God that he’s talking about a chocolate Easter bunny. Are the Chicago PD going to charge Jussie Smolelt with a Self Hate crime or just a felony self loathing misdemeanor ? How do get out of a fanTrax league i signed up for one but it doesnt seem to be filling up i was thinking about switching to another but i don’t want to do two leagues. I’m not ready to move back to my mom’s basement. Yeah but I’m the only one registered in that one. Much as I like playing with myself there are better options. it may be because i picked one with a late draft so it may fill up. I did not notice the Open Spots column so i will watch for awhile before i change. Not fantasy related: Ignore this if you want but… I’m a White Sox fan and would like your take on the franchise. Was it realistic to expect either Machado or Harper to go there? Fantasy related: I have won my league the past two years thanks to you and razzball so thank you sirs and I look forward to another season filled with gems of both the comedic and fantasy baseball types! @Swat290: The Padres got Machado, so yes realistic. Just offer the most money and the players will go there. OF course, San Diego does have slightly better weather than Chicago, but it is almost always all about the money. @Grey: Yeah, next offseason they should go heavy for a top of rotation vet and maybe another bat, bullpen help. They look good for 2020 and beyond. Good young core. Honestly, if you could live like a millionaire in San Diego why would you choose cold weather somewhere else? I’d buy a ten million dollar oceanfront estate in La Jolla if I were him. Being rich in SD is about as good as it gets. Go Newport Beach/Corona Del Mar area over LaJolla. Machado could afford to have an additional condo at Petco for extra convenience. Or a driver. Or a helicopter from John Wayne Airport. All kinds of options with $300 million. What’s your favorite in the area? Imagine if you will, a 12 team, 12 keeper league, keep forever with no value for rounds and we have minor leaguers. Standard 5×5 scoring with the exception of QS in lieu of Ws. I currently have Wil Myers and Sano as my 3B options. C. Sit tight and enjoy cursing Wil Myers all season. What say you, sirs (and presumably one lady)? Here’s current NFBC Rooster. Round 20 coming up. Time for Catchers in Pitchers. Think I can absorb Zunino’s BA based on where I am now. I’m projecting out at .282. @The Great Knoche: Also signed up for RAZZNFBC, again. One of these years I’ll avoid having 20 guys on the DL at the same time and victory will be mine! @The Great Knoche: Come get some! @Grey: went Alfaro and then Jon Gray. I think you should adjust your Jon Gray rankings. Digging into his issues besides pitching at Coors are a fairly simple fix. Stop giving up hits when runners are on base. OppBA was .297 with runners on base and his strand rate was only 67%. If he can get that corrected I can see a sub 4.00 ERA no problem. He put on 25 pounds of muscle in the off season, so hopefully that helps stabilize him, and even he said he didn’t feel healthy last year. If he’s throwing 95 next week, I’d say he’s in for a big year. And at pick 247 which is about 40 past his ADP I say go for it. @Grey: Brave and Wise are different things. Brave says Gray is a Top 40 pitcher at end of year. Wise says I told you to take Heaney 5 rounds ago. You didn’t draft Heaney and he’s there? @Grey: No, no. He went five rounds ago around pick 170. Give me some credit. I put my name on the list. No start until 3/4? Man, talk about a late start for DC. Crazy train. I used my email that I use for NFBC which is different than my Razzball mailing list one in case it matters. Nice, email doesn’t matter… Glad to see you’re aboard the crazy train! I had to reach deep into my soul to find the energy for a 4th DC. I will likely set a personal record with 7 NFBC teams. I hope I can keep track of everything in my aging brain. Maybe you can exploit my early signs of dementia to win an overall title on my back. You could call me Donnie Moore or Mitch Williams. @Grey: I figured. My biggest decision will be draft position. I’ve been 9, 10, 11 so far. I might want to try something different if I get preference. I have been low preference to date. Their random KDS has issues with me so thats more good news for you! No money? You’re selling yourself short, Grey! Make some dough. Do you do the Tout Wars live draft in NY? I’ve never done a live one. I will eventually I imagine but I’m not living for myself for the next decade or beyond. 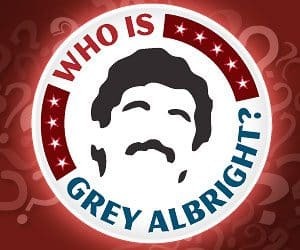 @Grey: Grey, which TGFBI league are you in and when is the draft? Great article. Always beneficial to get a look at your thought process and methods for evaluation. I saw that Rudy’s War Room is available now and maybe I’ll check that out if the free one isn’t out yet. @Test Kitchen: Follow up question to Test Kitchen’s– how will Rudy’s War Room differ from the downloadable one we are all patiently awaiting? Is it downloadable too? 2) Instead of actual stats, it has each stat on the same scale ($) for easier comparisons. this is what grey and I use for all our drafts. a bunch of our writers who participated in the TGFBI expert league used it as well. @Rudy Gamble: Where do we find your War room? Is it downloadable? @Grey: Yea Hot Rod is shooting to have this ready early next week. I provided him the Tiers sheet, which he said will save him some time. Much like his mother, Dorothy Mantooth, H.R. is a Saint for doing this for everyone. You get my note about the players you thought I forgot? @Grey: Oh yes, I did. I def worked through that as quickly as possible. I know HR saw them too, so he’ll see where I was wrong and update accordingly. On the last SS Tier, I jumped to the wrong Crawford. Anyways, this one that’s Rudy uses is fantastic. Be interested in your thoughts on my NFBC team – draft and hold, 15 teamer. I’m liking my hitting but thinking I could be light on pitching, saves being a particular area of concern. Bench – Toussaint, Peacock, Caleb Smith, Chatwood and more blergh. @Grey: This was a slow draft in December/early Jan, so rankings weren’t out for the majority of it. And yeah, thanks for confirming my suspicions! Keep up the good work. The other team just offered Mondesi for Merrifield. Am I missing something because this deal seems too good to be true. If (I mean, when) I accept, do I still keep Betts, Soto, Bauer, & Snell? Basically, what I’m asking is this: Is Mondesi a better keeper than Blackmon or Flaherty? Interesting…I looked up the 10 best K-BB% last year. I think I may target Bundy this spring. If he can keep the ball in the park, he could be elite. @Bucktail30: Just figured out I had the ‘vs RH’ filter on. sooooooooooooooo not jumping on the Bundy bandwagon with both feet yet. Son of a..
Prediciction Scott Boris has Bryce Harper announce hiss signing 15 minutes before Muchado’s press conference tomorrow. How long do you think Verlander continues to produce at this elite level? Where do we find your War room? Is it downloadable? After all of these years of thinking in terms of K/9 – BB/9 this is making everything so much more complicated. I have my 12 team, H2H keeper league draft coming up and would like your opinion on what to focus on. Not because I think you are God (yes I do), but because you know more than I do… This a weird intro. Anyways, my problem lies in the fact that I won’t have a pick in the draft until the 8th round because I traded away my 5th-7th last season to win the championship because I like winning. Around the 8th round, its roughly the ~100th pick or so my team will take a drop off. Also, you have no love for Severino or Williams. I am not going against you oh wise one, but their value was too good to pass up..
Where am I going 1B and SP wise? Where can I find Rudy’s projections for Points Leagues? btw, you guys are awesome. Signed up to defend my title!!! @Christian Dopp: Ah, that was you. I hate you but congrats man! We also keep 5 minor leaguers. Mine are currently Robles, Alonso, Tucker, Wander, and Widener. $4 Nimmo or $17 Puig keeper in NL Only (10 tm, $260, 5×5), keeping Story and pitchers in my other slots. Rudy has Puig as a top tier NL Only player in the auction values, but your rankings have Puig a bit lower. Do you two disagree on what to expect from him this year? Understood, thanks. I actually had pretty much decided on Nimmo, but then I noticed the player rater has Puig at the 15th best player overall and valued at $28 in NL Only 10 tm, which surprised me. I’m sure I could buy him for that, but not sure he’s worth it! I’ll keep pondering..
On average, what round would you start looking for closers, and which ones are you targeting first? Thanks as always. Quick question – all things equal, who do you prefer as a 5 year keeper, Robles or Devers? Follow-up: I know you’ve mentioned concerns about Devers given his struggles last year, is he a guy that you keep and wait for him to work it out or trade him while his value is reasonably high as a prospect? Hey Grey! Welcome back (to me- looks like you’ve been here the whole time). Do I really just go with those first 5 hitters? I can trade players for draft picks too, but not sure what sort of return I’d get on the SPs. Already got offered Verlander for Rizzo but I’m thinking to stay put on that. But maybe give up Rizzo for a pick and keep Bauer? Thanks very much! Looking forward to the season! @Grey: I just think you can get a good foundation of a pitcher using the K rate, walk rate, strand rate ERA and the FIP’s…or that’s just how I was trained and you know what they say about old dog and new tricks. All this said you need to understand league averages before really putting your toe in the water. Not to say I have a favorite stat but I love looking at O-Swing. First, it’s hilarious sounding and I want Kenny at Rotowear to make an O-Swing shirt. But I also like knowing if the pitcher is getting hitters to chase. I signed up! Looking forward to my first sloooooow draft with Grey and the gang. @Grey: League almost filled up? Grey, my league switched from W to QS. Should this change my opinion (at least slightly) of pitchers? I mean should I look differently at a guy with 140 IP with good percentages (like a R.Hill type)? And maybe bump up a guy with 180 IP but worse percentages but will give me QS? Thanks! Or am I. Do I sign up at NFBC or just wait for an email? @OaktownSteve: You doing FCL this year? Oak! You in for FCL this year or nah? That K-BB % plot twist ending will probably be better than the ending of True Detective season 3. Don’t know if you watch it, but saying it has been a slow burn would be an understatement. It’s def better than S2 though i will say that. @Grey: Agree. Wayne, Roland and Amelia are all well-acted and developed. The plot is just all over the place. I have a feeling they will somehow tie this season in to S1 after the documentary crew made a comparison to Marty and Rust’s case. It’s cool that these seasons all live in the same universe. NL-only keeper, give $3 Castillo, get $14 Puig? Rotation would still be solid–cheap Buehler, Corbin, J. Gray and Freeland. I appreciate any thoughts. Thanks! Last year malamoney put out an amazing rankings system. Is he still a Razzball contributor and will he be releasing a similar tool? @Grey: Hmmm. maybe someone from the Adulting tier as a #1? yeah shame about the big sites is they don’t even have K%, go to fantrax. 16 team keep 4 at previous year’s ADP prices. 16 teamer with one of each position, 1 CI, 1 MI, a 4th any type OF, 3 utils. roto, 1800 max innings (6 max RP slots, 5 SP slots). QS, K/9, holds, total bases, hits, slugging, OBP over AVG, OPS, net steals and net saves and holds added. gotta be bieber (28), soto (moves to 27th), mookie (1) and who else? bregman probably. Trout or Yelich and #20 overall pick? Great write up …interesting stuff & a new way to look at & use pitching metrics. in the middle (almost) of a SLOW moving 15 team 50 rounds draft & keep league. There are 3 viable closers yet on the board .. doubt any make it back to after 28 picks: Strickland, Boxberger or Parker (big maybe) A few teams have 4 potential closers. I need SP (esp with C Mart). I know you are high on Chase A. but he could be there when I pick again (50-50?) plus a few others R Lopez, Touki, Urias & Soroka are probably the best left besides Chase. I have always seemed to mess these NFBC leagues up & do miserably. Leaning taking maybe Strickland & probably should lock up Chase (his ADP is in the 360-380 range & if I pass my next pick is 360). Any thoughts on the team? Mainly would want to know what you think my next 2 picks should be?? 4) another RP witha good chance for saves. Most excellent ….hopefully Chase comes back to me. My longtime keeper league swapped from k’s to k/9 in a 5×5 league to limit streaming and keep unlimited adds in a daily league. It worked like a charm. We furthered it the next year by making a SP minimum of 7 games because people were figuring out how much more it played towards good RP. It’s going to be interesting to see if the Opener trend ends up making us change our min starts. TBD. @Bterry: I’m going to mention k% to the comishes and see what they think. Even k-bb% I’m just not sure it’s as blatantly obvious like k/9 is and may not go over as smooth in a 10 year old league.